Little Office of the Blessed Virgin Mary: Meditations on the Seven Sorrows of our Blessed Lady. The Fifth Sorrow - Our Lady sees Her Son die. Meditations on the Seven Sorrows of our Blessed Lady. The Fifth Sorrow - Our Lady sees Her Son die. Have pity on me, have pity on me, at least you, my friends, because the hand of the Lord hath touched me. —Job xix. 21. NOW there stood by the Cross of Jesus, His Mother." In this one simple sentence, with its pathos and reticence, St. John relates the tragedy of Our Lady's life. Her sufferings culminated in the supreme sacrifice of her Son on Calvary when she stood beneath His Cross and watched His sufferings, unable to relieve or comfort Him in any way; and adding, in a measure, to His sufferings by her very presence. What an agony of pain must have passed over Mary's soul when she raised her eyes and looked at her Divine Son on the Cross. What did His Mother see ? Only one day before, and Christ had been the " most beautiful amongst the children of men." He had left the supper-room in Jerusalem in the perfection of His manhood. St. John had leaned on His Sacred Breast carried away by love and the wondrous attraction of His Personality. St. Peter had offered to lay down his life for Him. The crowd in the Garden of Gethsemani had fallen to the ground at the first sight of Him. And now— " Behold the Man ! " Mary sees her Son dying a criminal's death, hanging in torments between two thieves, nailed to a cross in bitter pain ; His Sacred Body covered with wounds : " From the sole of His Foot unto the top of His Head there is no soundness therein" (Isaias i. 6). 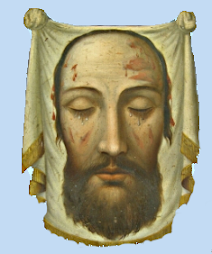 His Head crowned with thorns ; His Eyes closed in pain ; Blood flowing from His lacerated Hands and Feet— and His Mother remained by His Cross until Death, at last, took pity upon Him and drew Him away from His own creation which had crucified Him. Oh, Mary ! how could you have witnessed such a scene ! Ah ! you are His Mother ; you learned suffering and sacrifice from Him ; learned it because of your perfect love for Him ; and in the strength of that love you take up your stand at the foot of the Cross as the Mother of Sorrows, as the World's Heroine, as the " Queen of Martyrs." Peerless among women, peerless among all the Saints of God, crowned with modesty, purity and sinlessness, you are enabled to watch for three hours the most terrible death the world has ever witnessed, and that—the death of your Child, God's Eternal Son. If Mary had loved less, if she had been less perfect, she surely would not—or could not—have been a witness to the death of her Son. She was supreme, unparalleled in her love and heroism ; and all her fortitude and love sprang from her very sinlessness; yet she, who throughout the whole of her life had never sinned, who had never been defiled by the least stain of sin, was called upon to suffer for it in sacrificing her Son and in witnessing His Passion and Death. " The life of love is a life of sorrow." " But He knoweth my way, and has tried me as gold that passeth through fire " (Job xxiii. 10). After Our Blessed Lord had prayed to His Heavenly Father to pardon His murderers and promised Paradise to the repentant thief, He spoke to His Mother. 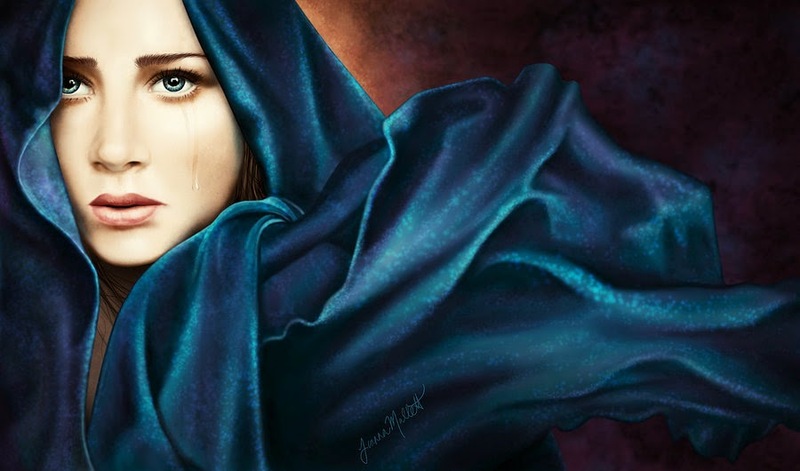 He looked down with His Eyes full of tears at the sad face of His gentle Mother, whose heart was broken with grief. " Woman," He said, " behold thy Son." And looking down on the disciple whom He loved, He added: "Behold, thy Mother." Jesus Christ desired that Mary should co-operate with Him in the great work of man's Redemption ; and His dying gift to earth was the gift of His own Mother. Mary is the Mother of God because we are sinners, and because we need her so much. That is our claim to her. As she stood at the foot of the Cross during those hours of agony and woe, she realized, by reason of her own sinlessness, the awful debt which the Son of God owed to His Eternal Father when He took upon Himself the sins of the world. His Life was pledged ; His Sacrifice was offered, that the Justice of God might be appeased ; that full and perfect satisfaction might be made to the outraged Majesty of God for the sins of men ; that the spotless holiness of God might be made manifest to the world to the end of time. Our Blessed Lady, participating in the Sorrows of her Son, in the ignominy and desolation of His Death, participated also in His love for men ; and closely allied with Him in the Redemption of mankind, took the sinful children of earth to her loving heart and became our Mother. She gave up her Son and took us. That was her sacrifice. Mother of God, He broke thy heart That it might wider be ; That in the vastness of its love There might be room for me. On Calvary's purpled hill Mary opened her immaculate heart to the sin-afflicted children of Eve ; and she shows us the, way, in the misery of our sinfulness, to the boundless, depthless, fathomless love of God. " What more could I do for you that I have not done ? What is there that I ought to do more to my vineyard that I have not done to it ? " (Isaias v. 4). As Our Blessed Lord's sufferings be came more and more intensified by the approach of death. Mary suffered more and more. Every wound, mark and bruise in her Son's Body was repeated in her soul. She entered into every phase of His agony and was immersed in grief. " To what shall I compare thee, or to what shall I liken thee, O daughter of Jerusalem ? To what shall I equal thee, that I may comfort thee, O virgin daughter of Sion ? For great as the sea is thy destruction ; who shall heal thee ? " (Lamentations ii. 13). She was inconsolable; none could heal her, for her Son was dying in agony between two thieves, scorned and derided with the shadow of death upon Him—repudiated by His own nation, disowned even by common humanity. " I am a worm, and no man ; the reproach of men, and the outcast of the people" (Psalm xxi. 7). Our Lady heard] the blasphemous language of the executioners as they lingered round Calvary, the scornful remarks of the Pharisees as some rode up on horseback to witness His torture ; saw the men, not far distant from her, casting lots for His garments ; witnessed the disdain and contempt of the Roman soldiers as they gazed upon the Nazarene ; and her sorrow knew no bounds. " Save me, 0 God, for the waters are come in even to my soul" (Psalm Ixviii. 2). After He had uttered His third word, our dear Lord was silent for some time ; and darkness, strange and intense, fell upon the earth, typical of the darkness which had come upon His Soul. His Soul was a sea of agony, an ocean of pain ; for in the work of man's Redemption not only must He surrender His Body to be crucified, but His Soul must be crucified also. Nothing was spared Him; He Himself willed that nothing should be spared Him. He was Sin's Captive; Sin's Atonement; and in the height of His agony He uttered that heart-rending cry : " My God ! My God ! why hast Thou forsaken Me ? " " And there stood by the Cross of Jesus, His Mother." His Mother—the Mother of His Mind and Soul—who understood, as only she could, the true character of the sufferings which God was inflicting upon His Son, and hers, as atonement for the sins of men. A plaintive cry came from the lips of the dying Christ. " I thirst." " I thirst for men's love." Down through the centuries He looked and He saw every one of us with our faults and failings, our sins and iniquities which He has forgiven so often and so generously in the Sacrament of Penance ; saw us with our ingratitude and indifference ; and He loved us in spite of this, loved us in spite of our selves, though by the very intensity of His Love He was breaking His own Heart. " Whom hast thou reproached, and whom hast thou blasphemed; and against whom hast thou exalted thy voice and lifted up thine eyes on high ? Against the Holy One of Israel" (Isaias xxxvii. 23). " Oh ! the sorrow of sinfulness, the gate to pain," to cause the death of Jesus Christ, the " most beautiful among the children of men." Has the Crucifixion of the Son of God any special claims upon us as Catholics in our daily lives, privileged as none others are to know Him in the Sacrifice of the Mass, in the tender love of His Sacraments ? Does He not plead with each one of us for a deeper recognition of His love, a more fervent, generous response to it ? Does He not ask that there shall be a daily sacrifice in our lives of self—of our will, our affections, for Him ; that there shall be an annihilation of our pride, cowardice and insincerity ; that we should die to self, and live with Him ? Does He not ask for a more intense, more enduring hatred of Sin ; not only of grave, serious sin, but also of those lesser ones which we call " venial" ; which, perhaps, we commit with so much ease and facility ; to the habits of which we have, perchance, so long accustomed ourselves ; which we perceive so casually and excuse so lightly ? Our dear Lord uttered His two last words very soon after one another. The hour of His Death had now come ; there was nothing more that He could suffer for men. Love—even the love of the Son of God—could go no further. " In His love and in His mercy He redeemed us " ; and His Mother had given Him up for the Redemption of the human race. Our Saviour looked down upon her for the last time ; and shortly afterwards He cried : “ It is finished." “And bowing down His Head, He gave up the ghost." Nature became convulsed at the death of her Creator. Men fled from the terror and panic of the earthquake, the sight of graves opening and giving up their dead; unnatural darkness covered the earth; fear took possession of the crowd : " In deed, this was the Son of God." And at the Foot of the Cross, keeping her vigil of sorrow, her heart broken with grief, " there stood by the Cross of Jesus, His Mother."